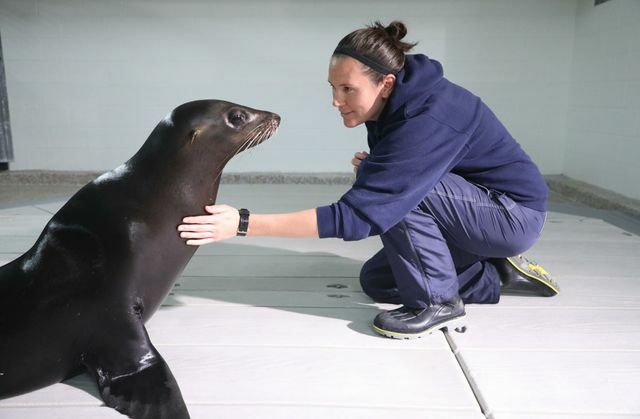 Georgia Aquarium trainers strive to provide the best care to our animals, and an important part of this care is daily training. Training not only allows us to communicate with our animals, but to build a positive and trusting relationship with them. 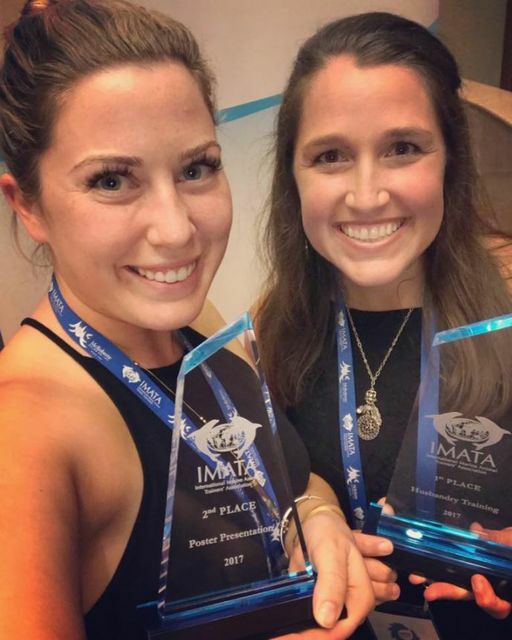 Our animal care teams are always working to find innovative and positive training methods for our animals, and recently, Georgia Aquarium’s sea otter and sea lion teams were both awarded first and second prize, respectively, at the 2017 IMATA Conference in Riviera Maya. IMATA, the International Marine Animal Trainers’ Association, holds this conference annually allowing accredited zoos and aquariums the ability to work with trainers from all over the world to stay up-to-date on the best practices and methods to care for all animals. Our sea otter trainers received first place for their presentation on the advanced husbandry training techniques of a geriatric sea otter. Gracie, our eldest sea otter and one of the oldest sea otters in human care, passed away in January. Caring for Gracie taught our trainers how to care for sea otters as they reach the geriatric stages of life. Their presentation focused on Gracie’s care, how to care for geriatric sea otters, and the advanced husbandry behaviors we are currently teaching the sea otters in our care. 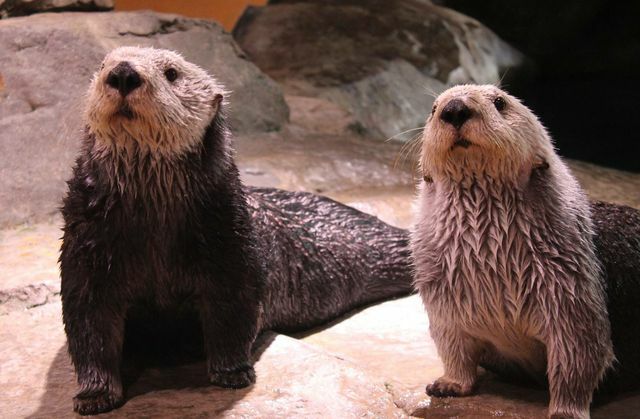 This presentation was a culmination of years of training in the sea otter program, and the first place award celebrates the skills and dedication of Georgia Aquarium’s sea otter team. Our California sea lions voluntarily participate in husbandry behaviors as well as presentations that allow guests to learn more about this incredible species. Georgia Aquarium’s sea lion team were awarded with the second place prize in Poster Presentation. The poster focused on desensitization of California sea lions with stimulating and enriching activities. 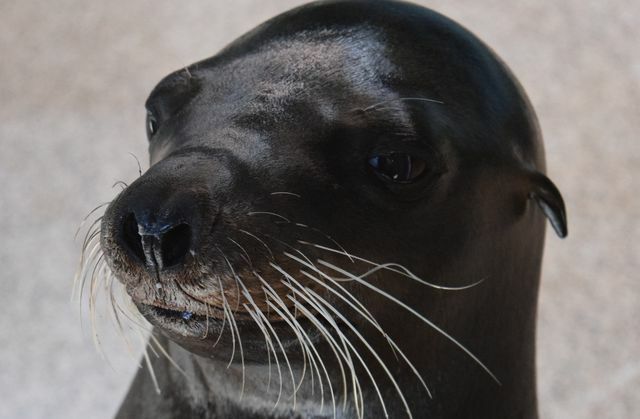 These activities not only proved to increase desensitization, but also were mentally and physically stimulating for the sea lions and their trainers. Desensitization is an important aspect of the care that many marine mammals receive to help them be comfortable in their environments. It’s an honor to work and learn alongside other IMATA-accredited institutions from all over the world in order to provide the best care possible for our animals. IMATA, established in 1972, has created a community of professionals that further the advancement and understanding of marine animal science through training, public display, research, husbandry, conservation, and education. IMATA is dedicated to providing and advancing the most professional, effective, and humane care of marine animals in all habitats.